Saint Benedict of Nursia is one of the most significant figures in the history of the Christian faith. 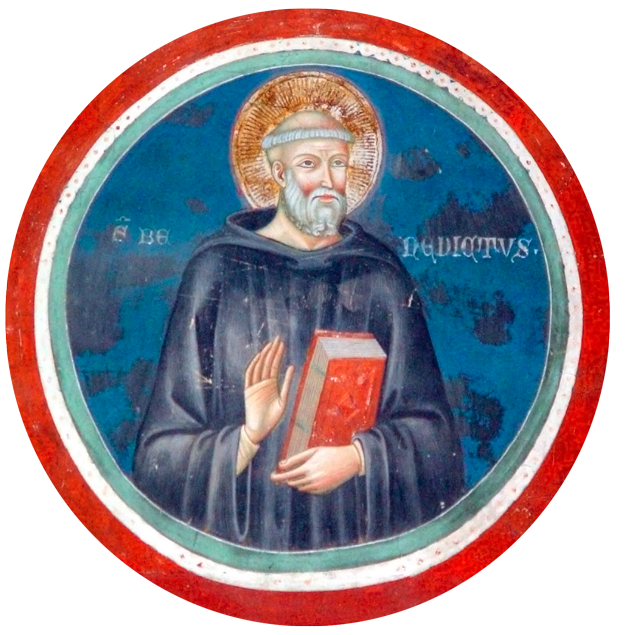 Founder of the Benedictine Order, he is considered to be the Patriarch of Western Monasticism. From a aristocratic family, descended from the gens Anicia, Benedict was born at Nursia (Umbria) in 480. Having passed his childhood in that city, he was sent by his family to Rome to complete his formation. The young man nonetheless remained struck by the widespread corruption of morals in the City and decided to abandon it so as to go to Affile, a little town in the Valley of the Aniene, to which he retired together with his nurse Cirilla. There at Affile the young man performed his first miracle, the repair of the sieve of his nurse, and because of this acquired a certain fame. Having left the district, probably because of the celebrity acquired by this same miracle, he went towards the river Aniene. During this journey he came to know the monk Romanus, a religious belonging to a monastic community situated on the nearby Mount Taleo. It was he who directed him towards the hermit life, showing him the cave in which the young man started a kind of solitary life. Three years later, Benedict was discovered by the inhabitants of the place and decided to abandon the eremitcal life in favour of the cenobitic life. During the almost thirty years passed in the Valley of Aniene, thanks to the ever-growing number of his followers, the Saint founded thirteen monastic communities. 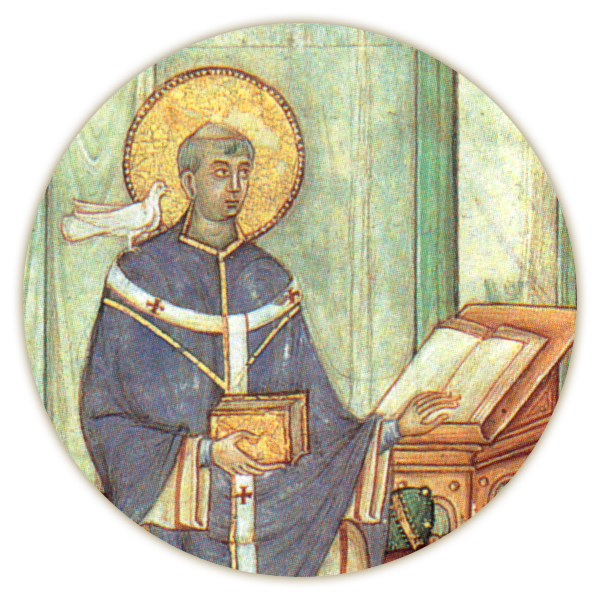 Between 525 and 529 he abandoned Subiaco to go to Montecassino, where he founded the Abbey named after him. At Montecassino Benedict wrote his Rule in 540, summarised by the famous motto “Ora et Labora” [pray and work]; he then died in 549. Through the work of Pope Gregory the Great among others, who wrote about his life in Book Two of his Dialogues, Saint Benedict and his Rule assumed a central role in the organisation of western monasticism, which up to then lacked its own structures. The Order of Saint Benedict holds a fundamental importance in the formation of the cultural identity at the root of European culture, thanks to the web of monasteries which already in the middle ages were able to connect cultures from every corner of the Old Continent. Precisely because of this connection, on 24th October 1964, Pope Paul VI proclaimed Saint Benedict as Patron of Europe. The Benedictine Order extended to the other continents and, today, represents a monastic reality spread thoughout the world.